Check out our review of the Window Roll on Jeepin.com. 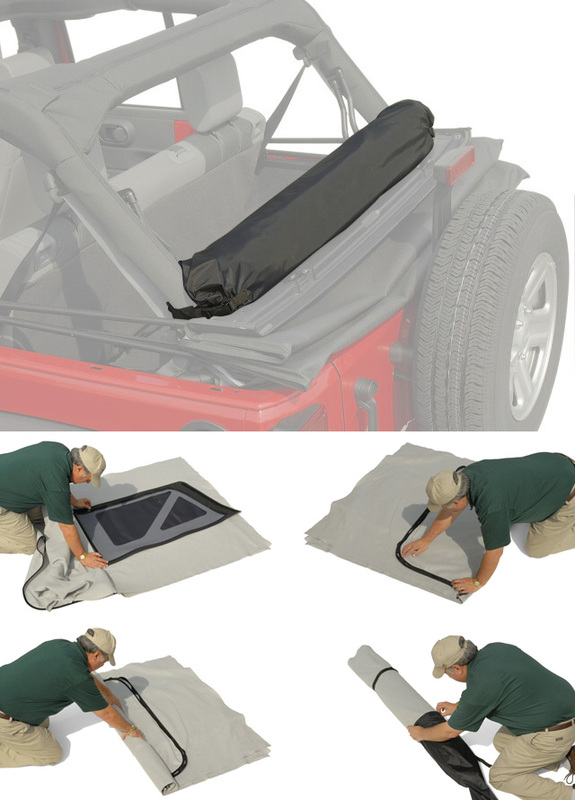 Clover Patch has created an exciting new product that enables owners of the new 2007+ Jeep® JK Wrangler to store their quarter windows and the rear window with metal bar, on board, through the use of the Window Roll. Remember those times when you left your windows in and they were ripped on the trail? Or, how about the time you had them lying in the back, forgot about them and lost one, or your buddy put his foot through one? For the new Jeep JK Wrangler windows, the quarter windows go in first followed by the rear window, and then the windows are rolled up. The rear window felt is contoured to fit under the zipper, therefore allowing some protection of the zipper teeth marking up the window, which happens during any method of storage.